During these days, definitely no quilting, no sewing, no knitting, only cooking all day long! 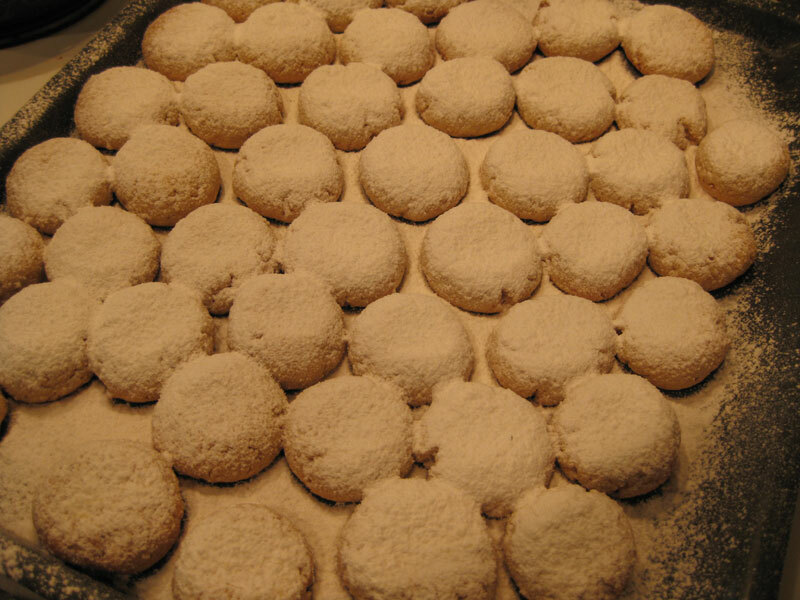 I baked the traditional Greek Christmas cookies called Kourabiedes. 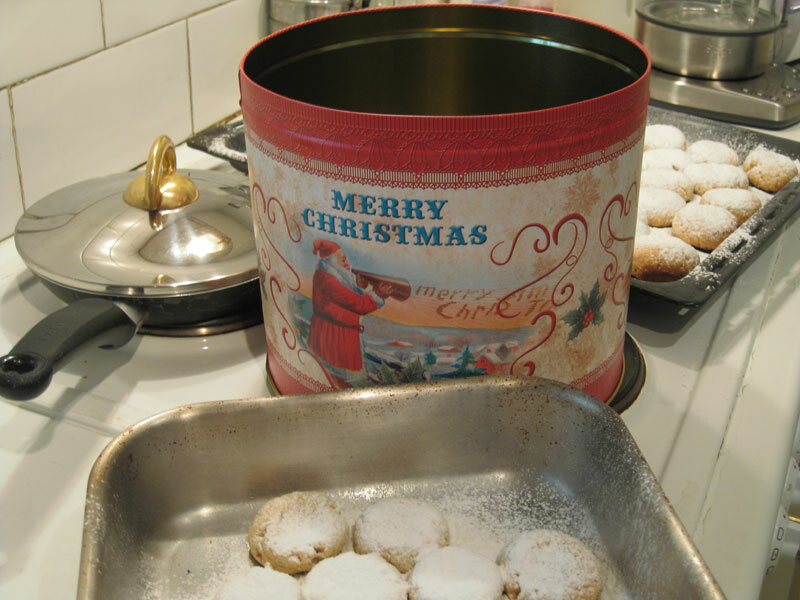 They are done with almonds, butter, eggs, wheat, sugar and cognac, and they are delicious! Today is the preparation of Christmas Eve diner, but I make a short break to send all my cyberfriends my best wishes for a HAPPY CHRISTMAS! The best wishes for you and your family too ! Oh my goodness, those look delicious...I bet your home smells amazing! Merry Christmas to you and your family! J'apprécie toujours beaucoup votre blog! Merci Helen, c'est très gentil. Joyeux Noel! Those cookies look delicious. Happy Christmas to you and yours. I'm looking forward to seeing all of your creations in 2015. 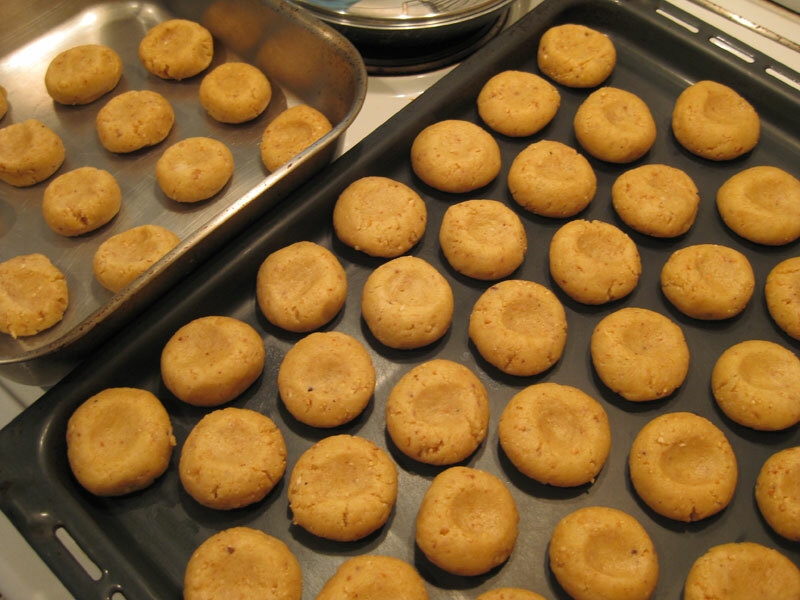 Your cookies look so yummy! Happy Christmas, and hope you find some sewing time soon. Merry Christmas Christine! And to your family too! Your cookies look delicious! Tu vas faire des heureux et des gourmands avec tes ccokies !! Joyeux et heureux Noël Christine !